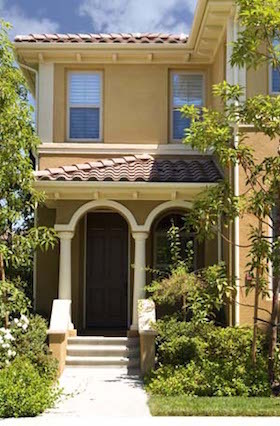 Nearly every estate planning or trust situation in Orange County involves real estate. Orange County real estate lawyer, David Crockett, is skilled in advising on and preparing all paperwork and forms and deeds. For example, when a living trust is formed, proper deeds and transfer papers are prepared to change the ownership from the individuals creating the trust into the name of the trustees of the trust. Prior to doing the transfer into the trust, the state of the legal title must be examined which comes from recorded deeds at the county recorder’s office. Sometimes several recordings are necessary to get a property properly transferred into the trust. A typical situation is where a spouse has passed away and no papers were filed with the county to change the legal ownership title to the surviving spouse. Before the surviving spouse can transfer the property into a trust, a proper affidavit of death and other papers need to be filed with the county. One of the main focus areas of the firm is estate planning and estate administration. This area intersects with real estate when clients have a trust or an estate or a business and must develop plans for how to transfer future assets, manage tax consequences and handle future succession. Estate and probate administration often requires transferring of properties and determining the correct forms to use. Failure to file the proper forms with the County within legal deadlines can result in costly increases in property taxes. The division of real estate among trust beneficiaries or heirs can be a problem where there are multiple properties. In representing the trustee, we often get involved in advising how to divide up property and/or whether or not it should be sold so that the distribution can be of cash instead of property. This can be a tricky area because sale of property might involve expensive capital gains taxes yet retention of property can be a risk to the trust or estate. Also, while real estate is still owned and operated by a trust prior to distribution, there are often income tax considerations that we can advise on. Purchase and sales of homes and apartments: strategic advice and guidance through the process. We have online access to all the standard forms. Formation of Limited Liability Companies (LLC’s), Corporations and Limited partnerships: setting up the proper type of company to use for any real estate transaction or small business situation. We can set these up and properly document them for California or any state. Real estate escrows: determining the best course of action for each client and working with escrow, the client, the lender and the brokers to get escrows closed. Landlord-tenant law: commercial and residential leasing and eviction lawsuits. Ownership and legal title disputes: negotiation and litigation when there are disputing claims of ownership. Financial lending: mortgages, deeds of trust, preparation and negotiation. Tax advice-income taxes: advance tax planning to plan for income and property tax outcomes on the front end of transactions. Analysis of selling versus doing a tax-deferred exchange. Tax advice-property taxes: analysis of property tax consequences of any real estate transfer and advice as to how to structure the transfer to take advantage of legal exemptions from reassessment. At Crockett Law Corporation, we assist clients with a range of real estate litigation issues throughout Orange County and beyond. 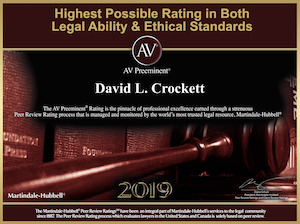 For more than 30 years, Orange County real estate litigation lawyer David Crockett has served clients in virtually every one of the 34 Orange County cities. He is in a unique position to advise because of being a licensed real estate broker and certified public accountant. Because nearly all orange county real estate is expensive, the financial stakes can be high and legal costs can soar when there is a dispute over just about anything. 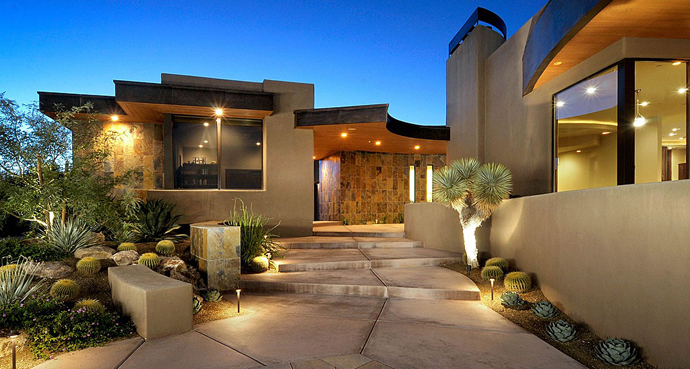 Mr. Crockett’s experience can be a cost-effective way of dealing with real estate disputes having been involved in countless situations involving real estate. Because he is also a CPA (certified public accountant), all financial and tax aspects of any real estate dispute can be analyzed and explained. This can prove very helpful in the course of litigation because the proper documentation necessary to prove a case or defend against the case often involves financial records.